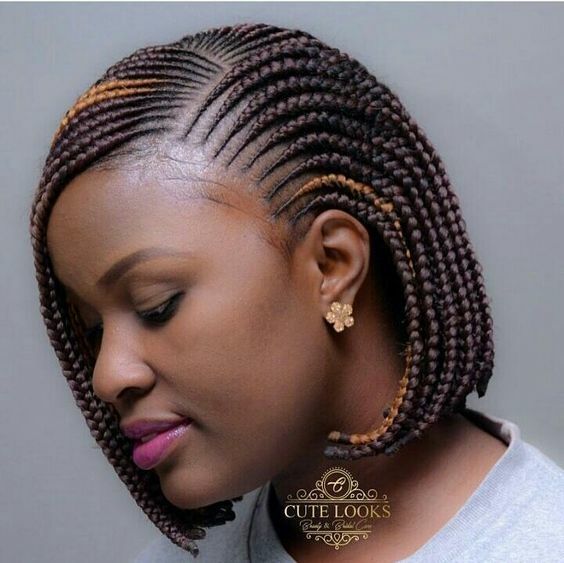 Two hairstyles that never seem to go out of style are braids and bob haircuts, making bob braids the best of both worlds. 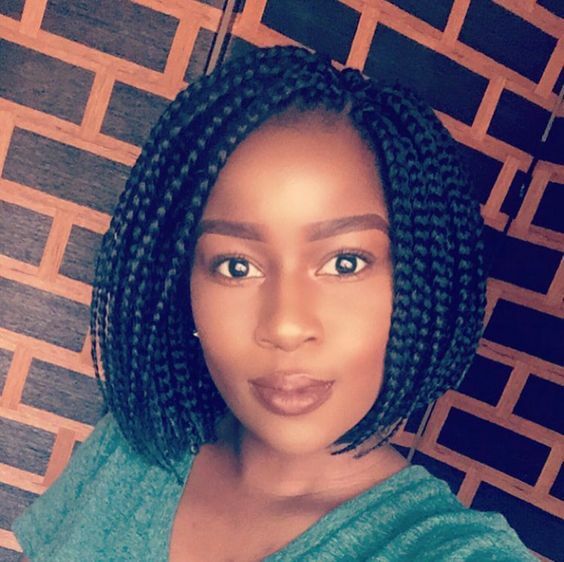 One of the benefits of bob-length braids is that they’re lightweight due to their shorter length, which also means they can be done with or without added synthetic hair. 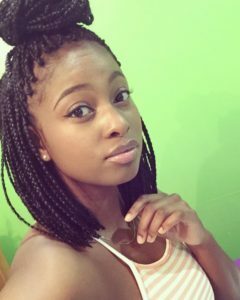 Bob braids are a great protective style for any time of year, but they’re especially popular during the summer months. Whether you’re going on vacation, making frequent trips to the beach, or just braving the heat day to day, bob braids are the perfect low-maintenance style to help keep you cool and stylish throughout the summer. 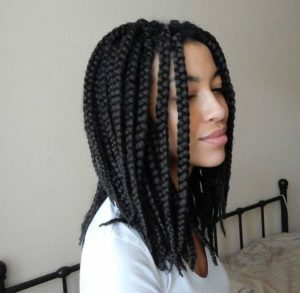 Many braided protective styles can be heavy because of the amount of braiding hair used to create them. If you do decide to add synthetic braiding hair into your bob braids, you won’t need nearly as much hair as you would for longer styles, which will make the braids a lot lighter. 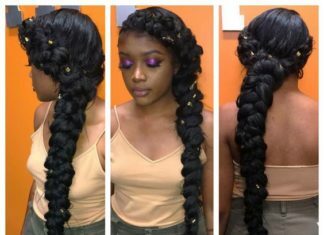 This is great if braided extensions tend to give you neck pain. 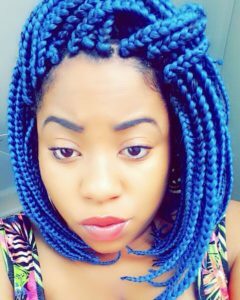 Shorter braids can also put less tension on your roots, which can minimize the risk of damaging your natural hair. 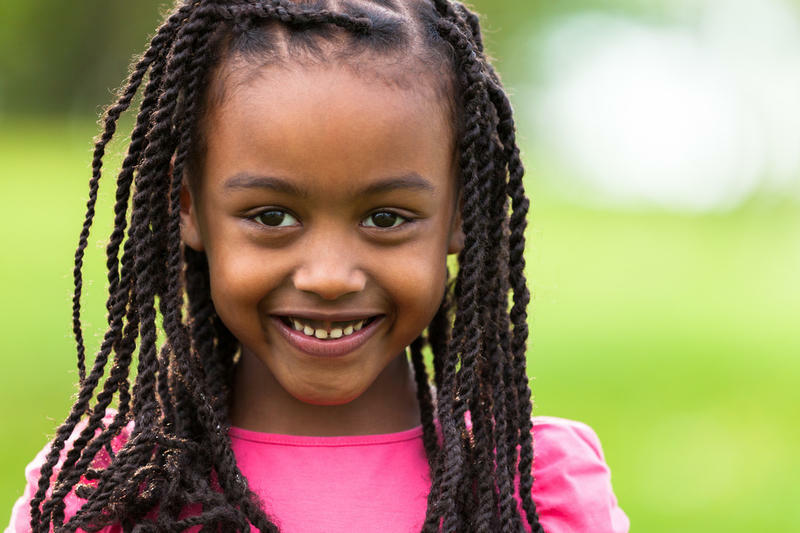 Always be sure not to braid the hair too tightly, regardless of the length of the braids. 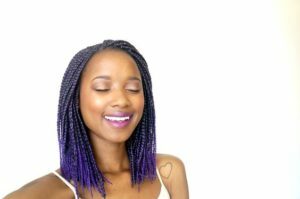 Although styling versatility may be a bit more limited with shorter braids, there are still a number of styles you can create with bob-length braids. 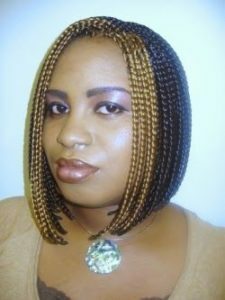 If you enjoy swimming, bob braids can fit under a swim cap much easier than many other braided protective styles. 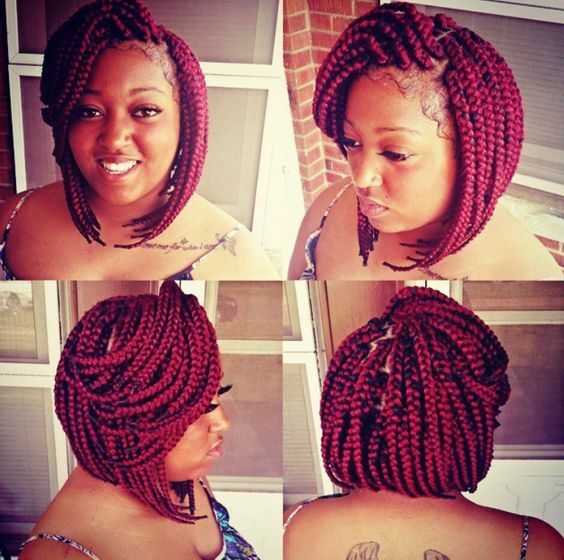 One of the cons of bob braids is the limited number of styles you can create due to their short length. Another disadvantage is that bob braids can only be created on shorter hair lengths. 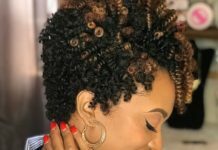 If your natural hair is on the longer side (but still short enough for bob braids), you have to be careful during the takedown process: you don’t want to accidentally cut your natural hair as you’re cutting off the ends of the synthetic hair. 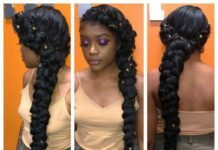 The same goes for the installation process: be careful to leave enough synthetic hair on the ends so that you don’t accidentally burn your natural hair when you seal your ends. Overall, the pros of bob braids significantly outweigh the cons. Let’s take a look at some of the many ways you can wear bob braids. This style is perfect if you like thicker box braids. 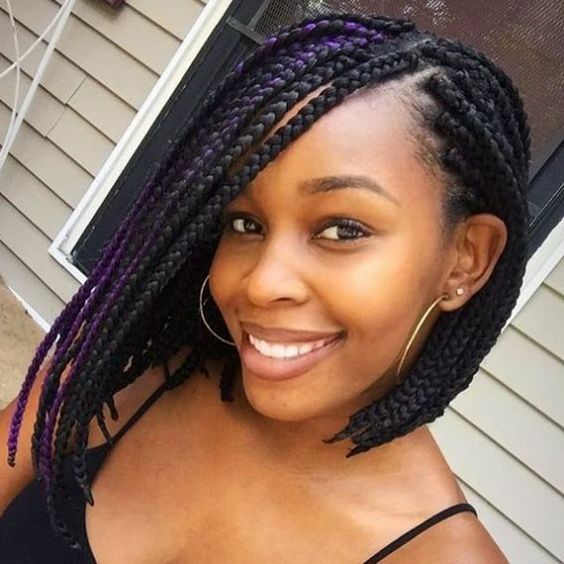 The length of these braids falls right around the shoulders and the braids can easily be styled into a half up half down style like the one pictured here. 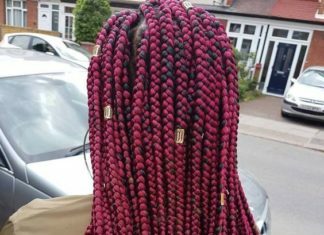 These gorgeous box braids are sure to turn heads. Silver braiding hair is used to create this unique long bob style. This fun look is especially great for the summer months, but it’s sure to stand out all year long. Purple braiding hair on one side of the head adds a pop of color to these classic bob-length box braids. 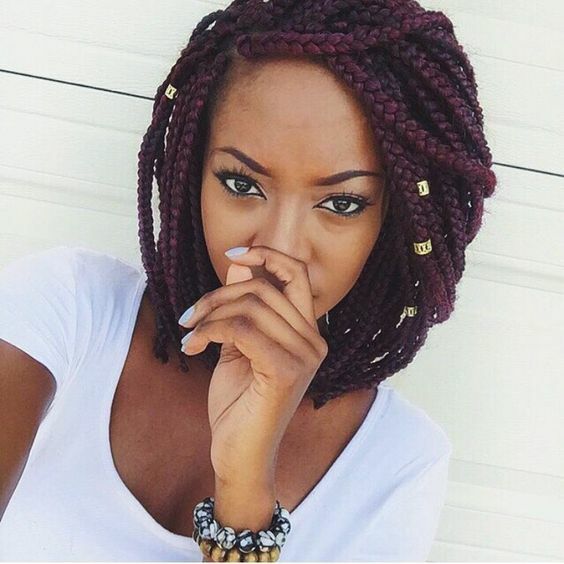 This style is perfect if you want some color but don’t want to commit to the bolder look of all-purple braids. 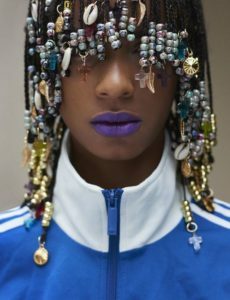 This breathtaking bejeweled look is probably not the most practical style for every day, but it is gorgeous nonetheless. An array of colored beads, cowrie shells, and dangly hair jewelry give this style a regal look that’s perfect for a special occasion. This darker shade of purple creates a more subtle look that blends well with darker natural hair colors. With a length that falls right around the collarbone, this style is fun and colorful. 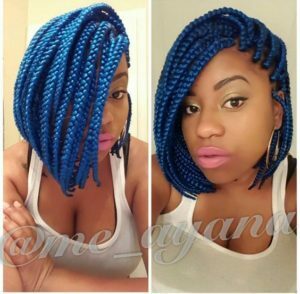 Blue braiding hair is used to create this beautiful braided bob. 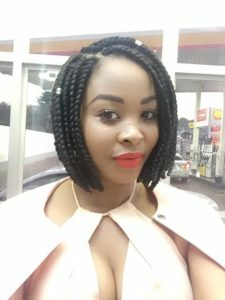 This look can be easily be dressed up or down with a glam or natural makeup look. Either way, the bold blue color is sure to turn heads. 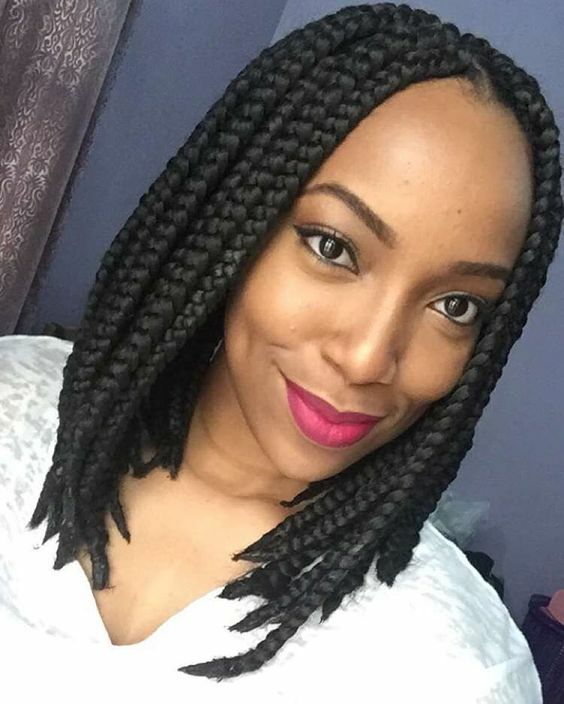 These simple box braids are a great example of the classic braided bob hairstyle. A few gold beads can be added when you want to dress up the style a little. 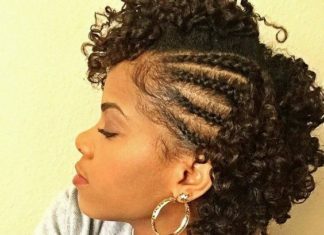 Just because you’re working with a shorter length doesn’t mean there aren’t a variety of ways you can style bob-length braids. 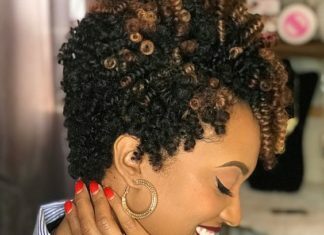 The color alone is enough to make this style stand out and give it a unique look, but you can also style it in a side-swept look for a subtle change. 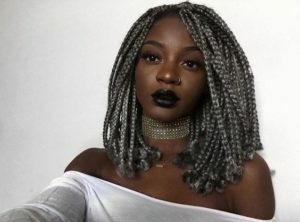 There was a time when grey hair was a sign of aging that many women tried to disguise with hair dye. 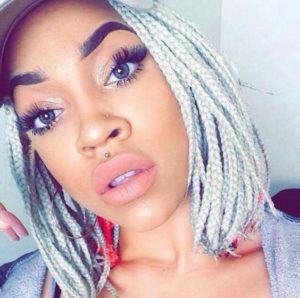 But in recent years, grey has become a hot color trend that’s shown up in a variety of styles, like these pretty bob-length box braids. 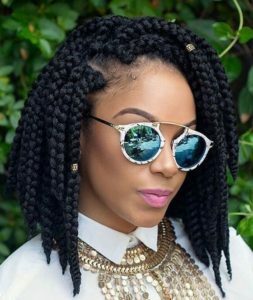 These bob braids are slightly shorter in the front for a subtle layered look. 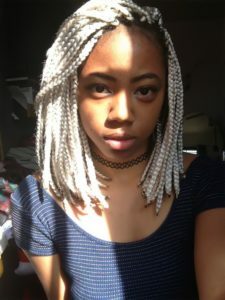 A couple of silver beads offset the pretty golden color of the braids. 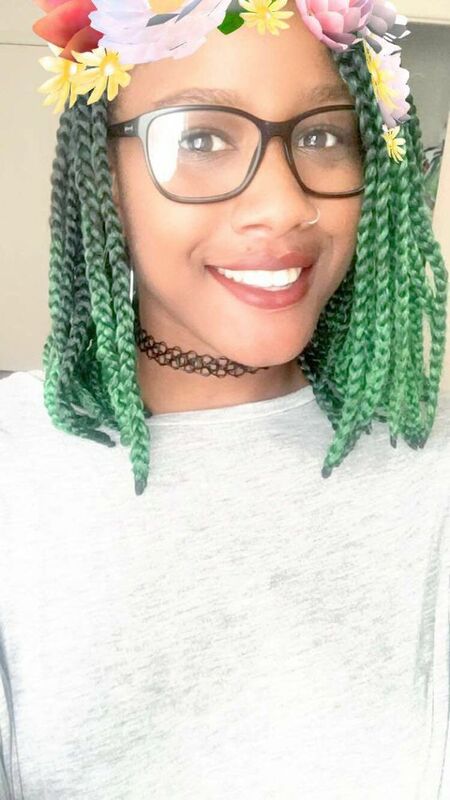 These green ombre bob braids just scream fun. 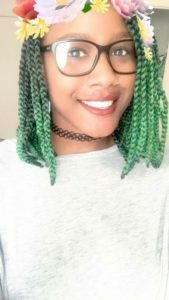 Of all the bold hair colors you can choose from, green is less common, making this style stand out even more. 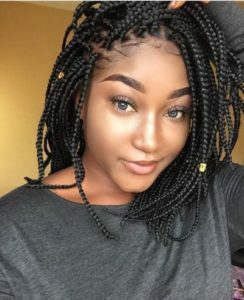 Depending on the length of your hair, the green braiding hair can create an ombré effect as it blends with your natural hair color closer to the roots, becoming more prominent on the ends. This pretty burgundy color makes these bob-length box braids stand out. Depending on the lighting, the rich color can look more like a subtle shade of red or purple. Gold beads are always a nice touch. 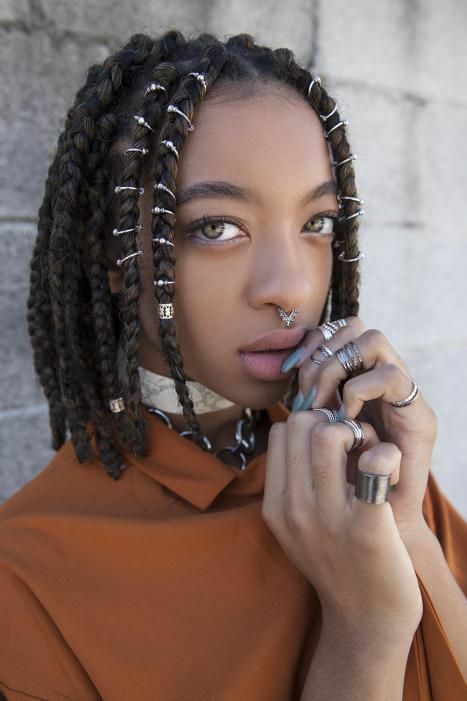 This asymmetrical braided bob is great if you’re looking for bolder, more unique style. 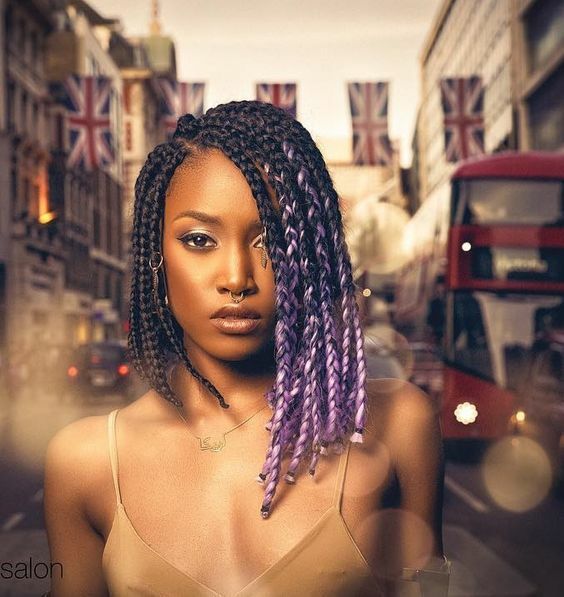 Lavender braiding hair is added to the side that is longer, making the contrast even stronger. 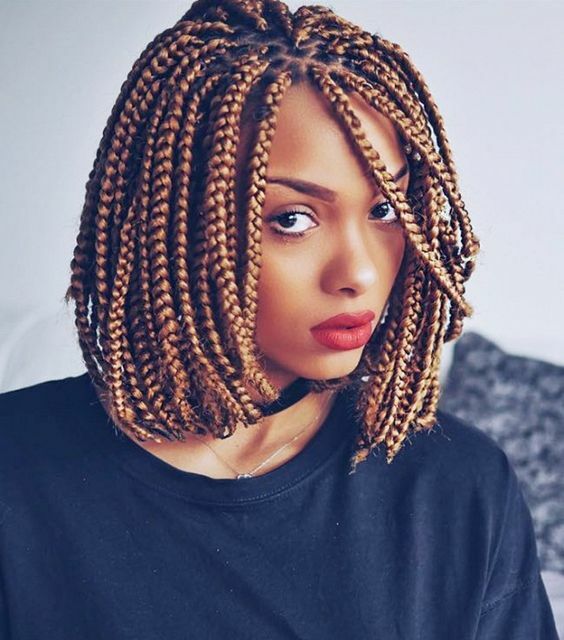 These classic bob-length box braids look great on just about anyone. 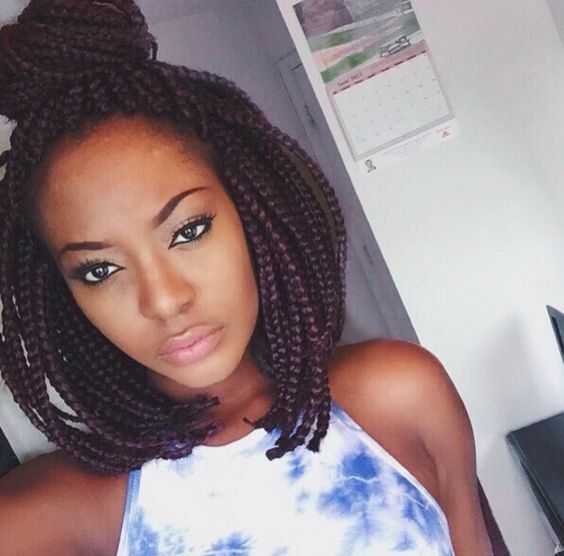 Match the braiding hair to your natural hair color for the most seamless look. These bob-length micro braids are easy to style in a variety of ways. A combination of light and dark brown hair creates a unique two-toned look. 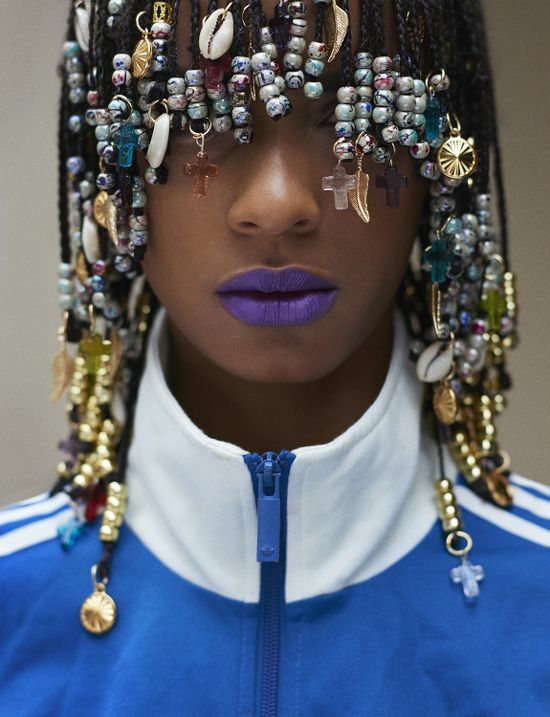 Never underestimate the power of hair jewelry. These simple short braids are dressed up with carefully place silver rings and beads, giving this style a truly unique look. The popular half up half down hairstyle is not reserved for just long locks. 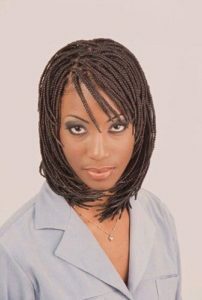 It also looks great on these classic bob-length box braids. This classic chin-length bob frames the face nicely. 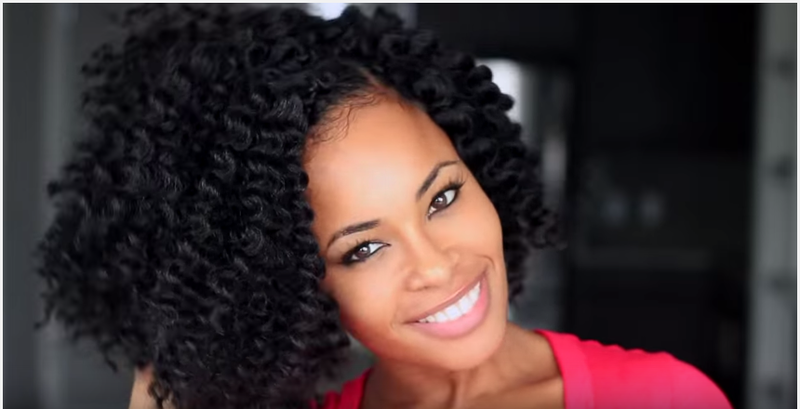 This style is great if you like a shorter, low-maintenance look. These bright red box braids are styled into a swoop bang in the front, once again demonstrating the versatility of bob braids. These small box braids create a neat, sleek look. Their small size is likely to put less tension on your roots. You might find slimmer braids easier to style as well. 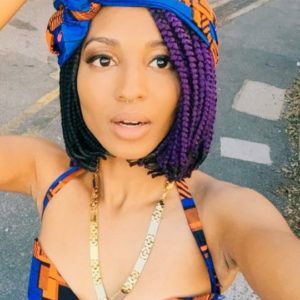 If you like the look of a long bob (also known as a “lob”), or if you have a longer face, you might prefer braids this length. 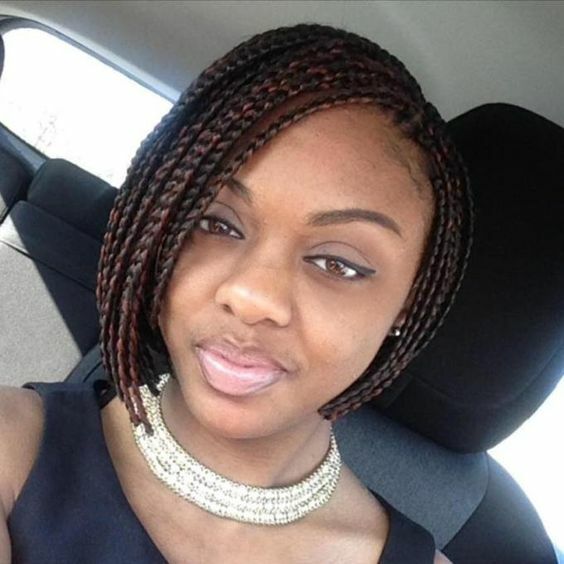 They look great and still give you the low-maintenance care that comes with a shorter style. 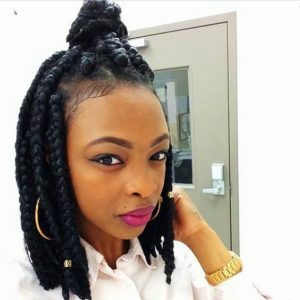 Double buns are an ever-popular style that looks good on many different lengths and hair types and these box braids are no exception. 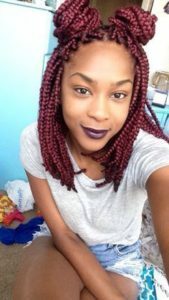 This long bob is accented by gorgeous red color. These gorgeous feed in braids are a nice departure from traditional box braids. Subtle golden highlights throughout add a touch of color to this chin-length bob. 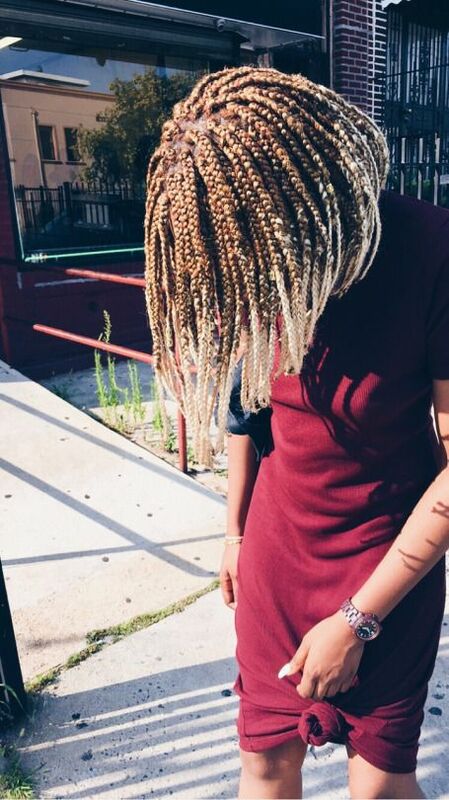 These pretty golden-colored box braids are the perfect summertime style. But they also provide a great sun-kissed look all year round. This style is great if you want a bob that’s a little longer than average. It’s also a great way to experiment with an asymmetrical look without committing to it long-term. 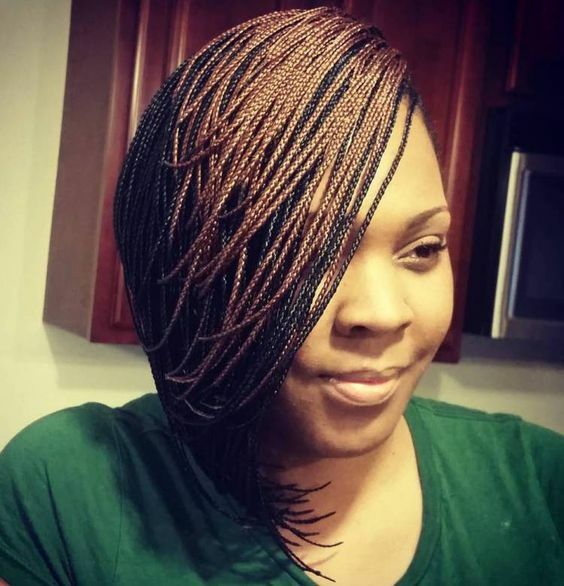 This asymmetrical bob is a simple but beautiful way to style short box braids. The slightest hint of purple adds a pop of color and fun to an otherwise conservative look. 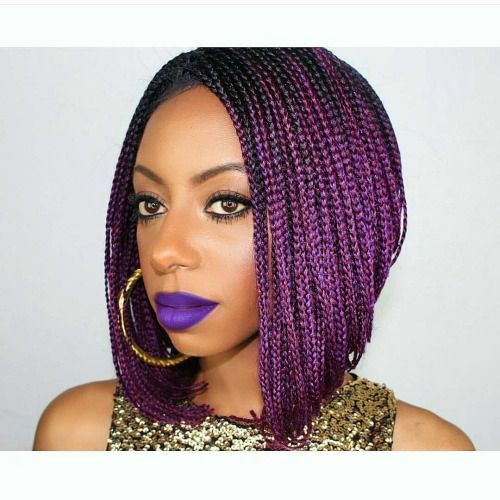 These purple braids are styled into a stacked bob: shorter in the back and longer in the front. Different shades of purple give these braids an almost iridescent appearance. Bangs and layers make this look stand out from other braided styles. It’s a chic but casual look that’s great as an everyday style. In this style, golden-colored braiding hair is used in the front, framing the face, while dark-colored braiding hair is used for the rest of the style. The result is a contrasting two-toned look. 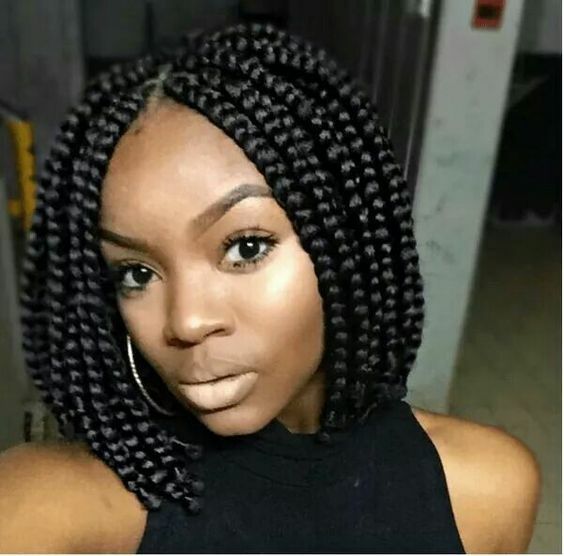 Blonde braiding hair is used to create this bob hairstyle. The color gets progressively more blonde towards the ends of the hair for a pretty ombré effect. 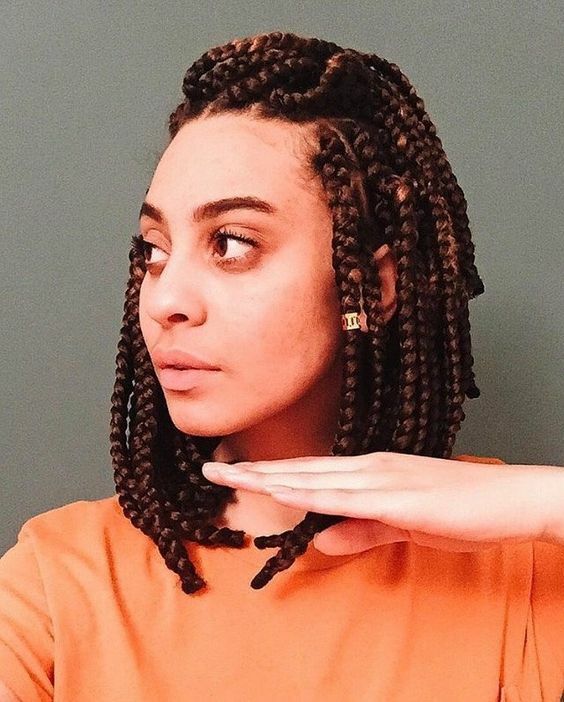 When you think of the term “bob braids,” this is usually the first image that comes to mind: classic chin-length box braids. This timeless look can be dressed up a little by adding a few gold or silver beads. This gorgeous style is slightly longer than your average chin-length bob. A few gold beads allow you to customize this look any way you like. 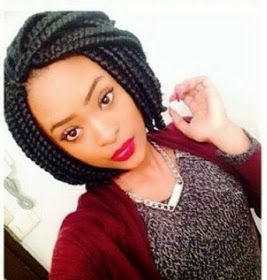 This is a cute and easy way to style your bob braids. 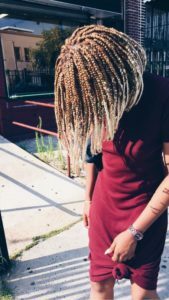 Just split your box braids into two sections and pull the front section into a high bun, securing the ends with bobby pins. 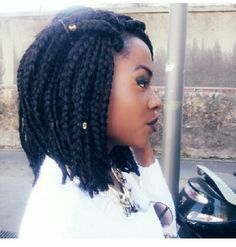 If you’re looking for a bob braids style that’s a little different from the norm, these asymmetrical box braids are a great option. A deep side part emphasizes the asymmetry of this cute style. 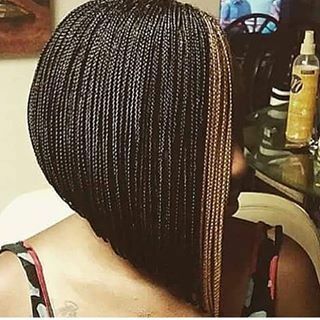 These cute bob-length box braids look great adorned with gold beads. 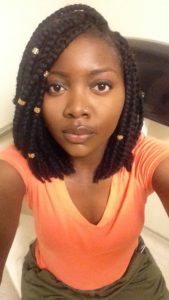 This is a great protective style option that works for all occassions. 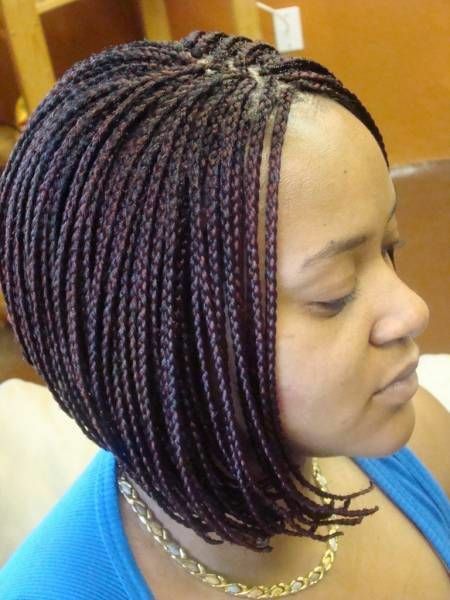 These black micro braids are styled into a dramatic stacked bob, with a single brown streak in the front. This is a great option if you’re looking for a more unique braided bob style. 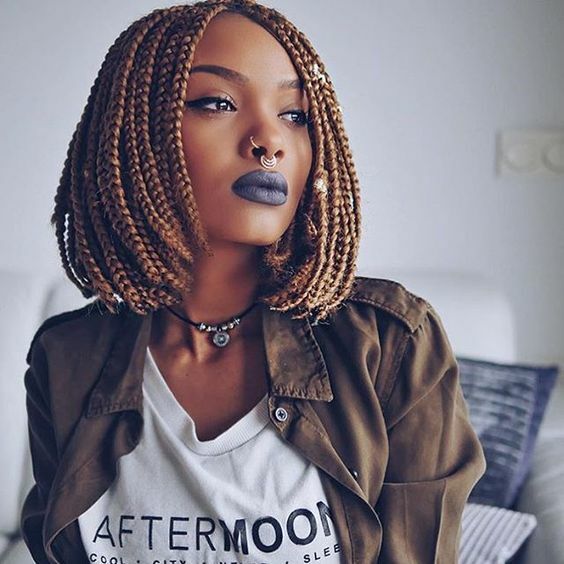 If you’re looking for a bold color for your bob braids, consider these striking light grey box braids. This is an especially great look for the summer months. If you prefer slightly longer braids, these shoulder-length box braids are perfect for you. A long bob, also commonly known as a “lob,” is a great option for those with longer faces. 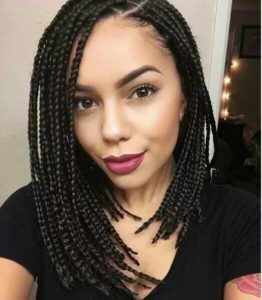 These gorgeous two-toned box braids are styled into a half pulled back style for an efforlessly chic yet casual look. A couple gold beads help offset darker colored hair. Here’s another long bob styling option. 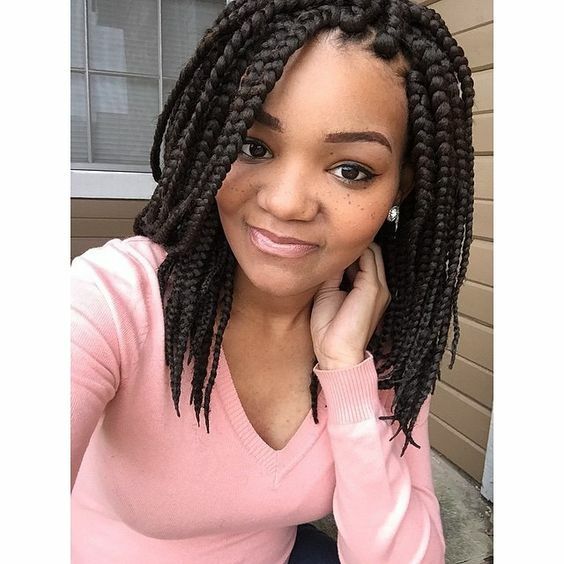 These pretty medium-sized braids can be styled in a variety of ways, whether you want to wear them up or down, styled with or without a part, you really can’t go wrong with this look.